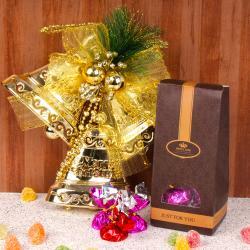 Product Consist : Christmas Snowy Artificial Wreath along with Bag Filled with Cashew stuffed in Homemade Chocolates in a Potli Basket (weight : 200 Gms). 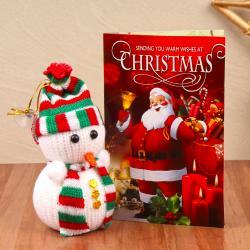 You want to wish a buy unique gift for your special person on Christmas then this hamper from Giftacrossindia.com is the best option for you. 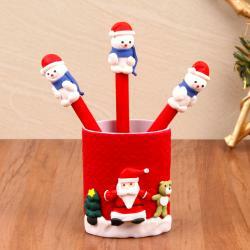 This hamper include the Christmas decorative wreath to elite your love one home Christmas decorations. Let your loved ones enjoy the bites of sweetness as you surprise them with these delicious cashew flavor homemade chocolates, this chocolates is comes within special potli. So grab this best Christmas gift now. 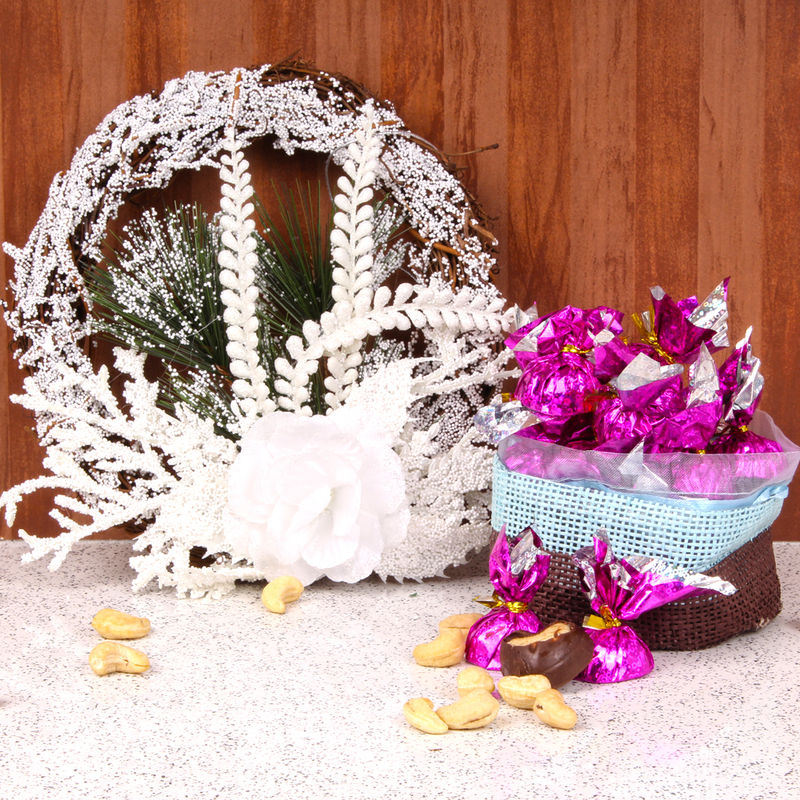 Product Consist : Christmas Snowy Artificial Wreath along with Bag Filled with Cashew stuffed in Homemade Chocolates in a Potli Basket (weight : 200 Gms).